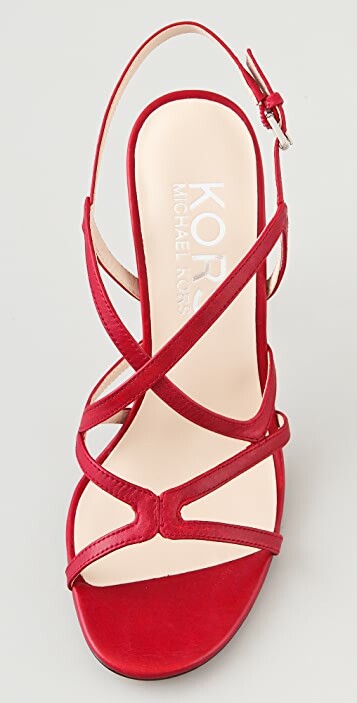 These leather sandals feature crisscross straps at the vamp and a buckled strap at the ankle. Padded footbed and covered stiletto heel. Surprisingly comfortable. I would say true to size to slightly larger. I am a 7 to 7.5 and bought the size 7.
classy, a bit to high, but with the right gel pads you won't notice! These shoes are so beautiful!! The red is rich and luxurious, and the leather is so soft! The heel is a bit too high for me, but still walk-able. These would be amazing if you were wearing them to a summer dinner party where you're sitting down for most of the evening. They're quite comfortable, though. 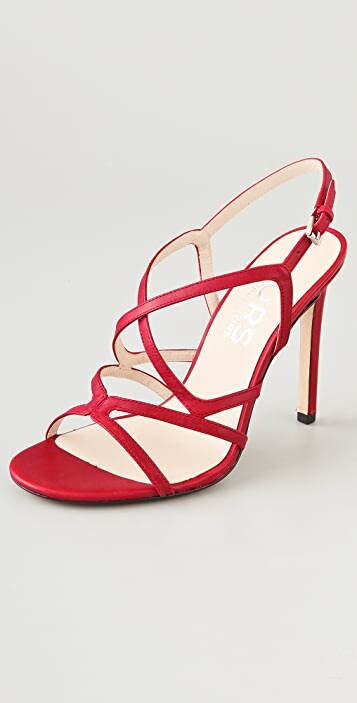 One of the most comfortable pair of heels I've worn!